Politz Enterprises Roofing Inc., a Frederick MD roofing company, has been serving the Frederick, Maryland area for over 50 years. As a family owned and operated company, we take pride in installing high-quality and dependable roofs throughout Maryland, Washington DC, and Virginia. Politz Enterprises Roofing Inc. is rated A+ through the Better Business Bureau. Every day and for every customer we work with, we strive to provide the best product Frederick MD has to offer. 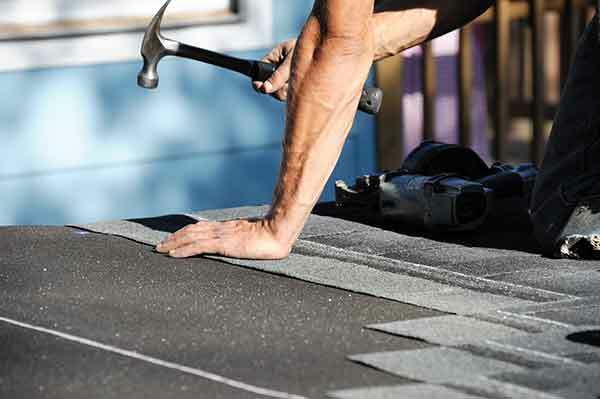 Our roofing team will install a roof of the best quality and provide free, lifetime labor through our warranty. We install quality roofing that will save you money over the years in repairs and maintenance. Not only will our roof add resale value to your home, it will last years saving you maintenance headaches. Tired of constantly having to pay someone to come out and patch your roof every time there’s a problem? Installing a new roof will solve all of this and save you money in the long run. An energy efficient solution only works when installed properly. With years of experience in roofing, Politz Enterprises Roofing Inc. will maximize your energy savings without killing your pocket book. Buying a new home? Getting an inspection done by a roofing professional will uncover any hidden issues that otherwise could be overlooked causing more issues down the road. We provide the top warranties and discounts in the business here at Politz Enterprises Roofing Inc. We offer discounts to senior citizens as well as for those in the military. Every customer has the option for our extended warranty on many of our products which includes a LIFETIME labor warranty when you choose Politz Enterprises Roofing Inc. as your Roofers in Frederick MD. Our years of experience and our high-quality materials combine to ensure you get the perfect roofing installation for your home. We offer roof installations with asphalt shingles, cedar planks, copper, and slate to give your roof the look you want. A new roof provides many benefits including enhanced energy efficiency, better curb appeal, and higher resale value for your home. A new roof is far more efficient at limiting heat gain rather than absorbing heat. What does that mean for you? It means when Politz Enterprises Roofing Inc. roofers Frederick MD install a new roof on your house, it reflects heat during the summer months making your energy bills less and your house cooler. A new roof also increases a home’s curb appeal. According to a recent study almost 80% of people agree that a new roof instantly made a neighborhood house look better. Since the roof on most houses can be seen from the street, having missing shingles, cracks, and aged roofs will decrease a home’s curb appeal. Picking the right style and color to complement your house also goes a long way with your home’s curb appeal. Our years of experience and expert team can help in picking the right material and color to instantly improve the way neighbors and potential buyers look at your house. A new roof will also increase your resale value if your home is on or about to be on the market. 89% of prospective home buyers say they will walk away from a home in need of roof repairs or if a home appears to need roof repairs. On the flip side, a new roof can add up to $20,000 of value to your house and give you an extra bargaining chip during negotiation. Schedule a free consultation today with one of our experienced roofers to see how a new Politz Enterprises roof can benefit you! Still not sold? Learn more about our Frederick MD Roofing Services! Keep You Dry: This might seem like an obvious one but no one wants to enter a house that has gutters overflowing or leaking. A quality gutter system will keep you and your guests dry by diverting the water running off your roof through the system to the ground. Prevents Mold: If the exterior of your home gathers too much liquid in unwanted places, mold can be a nasty side effect. Stagnant water in unwanted places can be affected by humidity and poor ventilation, and cultivate mold without you noticing. Keeping water away and off your house with a gutter system can help prevent this from occurring. Protects Your Foundation and Landscaping: During heavy rains pools of water coming off your roof onto your landscaping or yard will cause soil runoff and damage your landscaping. Even a poorly placed gutter spout can cause foundation and landscape issues. A properly installed gutter system will keep your yard and landscape intact. Prevents Insects, Specifically Mosquitos: Gutters keep water from pooling and becoming stagnant. These pools of waters are breeding grounds for bugs and mosquitos. To keep your home from attracting these bugs, a quality gutter system will ensure that you have no stagnant or pooling water. If you want the best roofers in Frederick MD to install the right gutter system for your house, schedule a free consultation today with Politz Enterprises Roofing Inc.
We offer several types of gutters and different types of gutter material to ensure you get the custom look you want for you home. Want to learn more? Learn more about our Frederick MD Gutter Services here. We offer top-notch siding products that include vinyl, HardiePlank board, trim, and other siding accessories. If you are looking for experienced roofers in Frederick MD that also know their way around siding, Politz Enterprises Roofing Inc. is your answer. New siding instantly improves the curb appeal of your home. With a wide range of colors and siding options, we can add depth, make your home look cleaner, and make it look newer. Quality siding catches peoples attention off the street and also gives your home a fresh look. New siding also improves your energy efficiency in the home. With our quality materials, you get additional insulation for the exterior of your home. The new insulation will keep your home cooler during the summer by keeping cold air in the house and hot air out. The same is true for the winter, your new siding will keep your warm air in the house while keeping the cold outside. New siding increases the property value of your home. 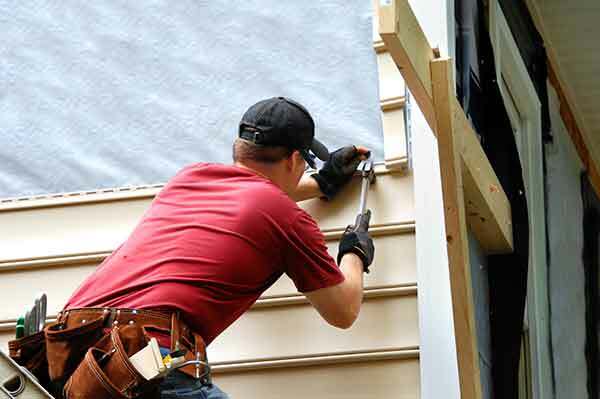 While new siding is always an upfront investment, installing new siding will improve the value of your home. Being able to list new siding on the features of your house can improve the chances of selling your home and give you a negotiation tool you would otherwise not have. New siding also protects your property better than older worn out siding or poorly installed siding. Our top quality materials and expert installation will protect your house for years to come, saving you money in the long haul on repairs. Want more information? Learn more about our Frederick MD Siding Services. It is our Mission at Politz Enterprises Roofing Inc. to serve our community with the most qualified professional workmanship and service. Our experts work with the utmost integrity and strive for a position of leadership not only in the roofing industry, but the community as well. No matter your interaction with Politz, from our secretaries to field professionals, we will strive to provide the best possible customer experience available. Our family owned and operated business takes pride in our service and overall customer experience with our community. We not only have high standards for our materials and products, but our high standards carry over to our people and the workplace. By cultivating high standards from our employees and services, our customers grow to expect only the best from their Politz Enterprises experience. We have taken the extra step to ensure that we provide only the best materials to our customers. Our warehouse is climate controlled and houses a majority of materials to test and ensure quality on all of our products. Our people are the most important asset we have. As a company we strive to provide an environment that attracts the top professionals in the industry to work for us. Our team is held to the highest of standards in order to provide a professional environment for our clients and employees. WHY CHOOSE POLITZ FOR YOUR ROOFING NEEDS? We are a full-service, family ran roofing company based out of Frederick MD. We have performed quality and affordable roofing both for residential and commercial customers in the Frederick MD, Columbia MD, and Eldersburg MD areas since 1963. We pride ourselves on high standards, quality materials, field professionalism, and adherence to finishing installation on time. But don’t just take our word on it! See what our customers in the Frederick MD area are saying about us below. Looking for a job? Come work for a well-established, high-energy company with flexible hours and uncapped earning potential!